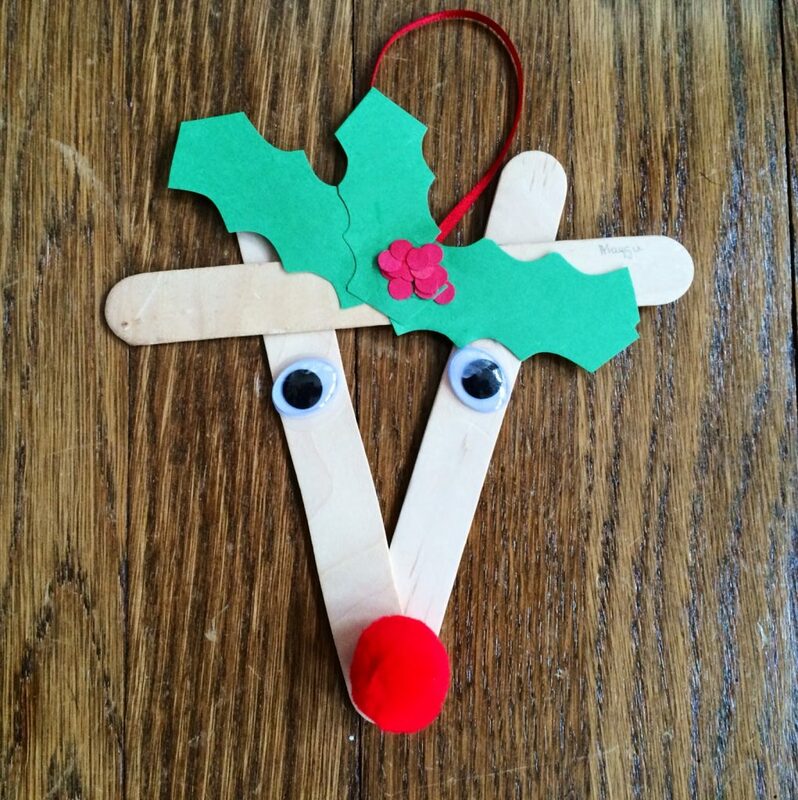 Today, we are sharing some super simple & easy Christmas crafts to do with your kids! 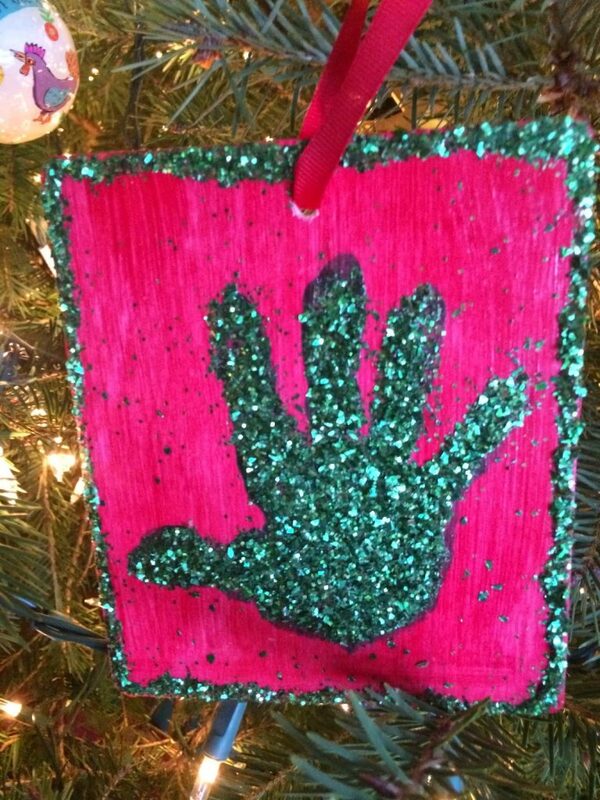 Dip hand in white paint & place hand on bottom of ornament. 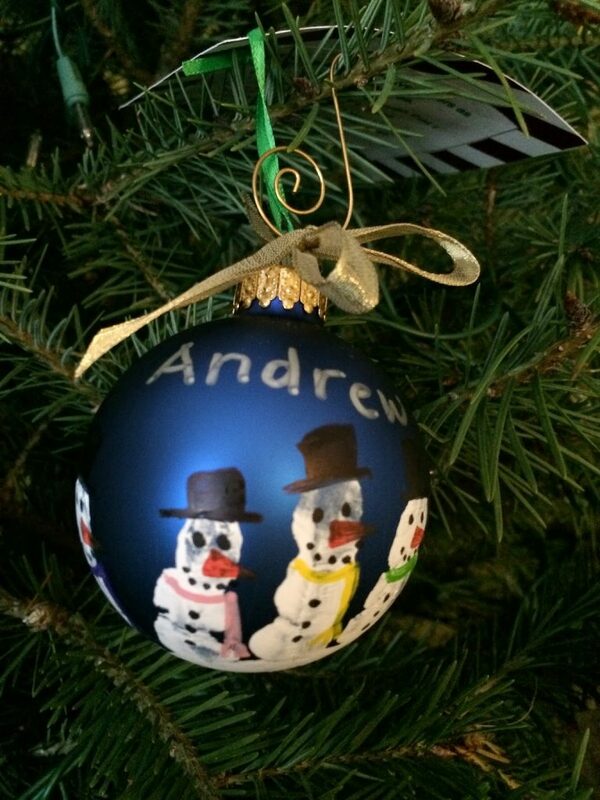 Paint eyes, nose, mouth, scarf, buttons, & hat on ornament! 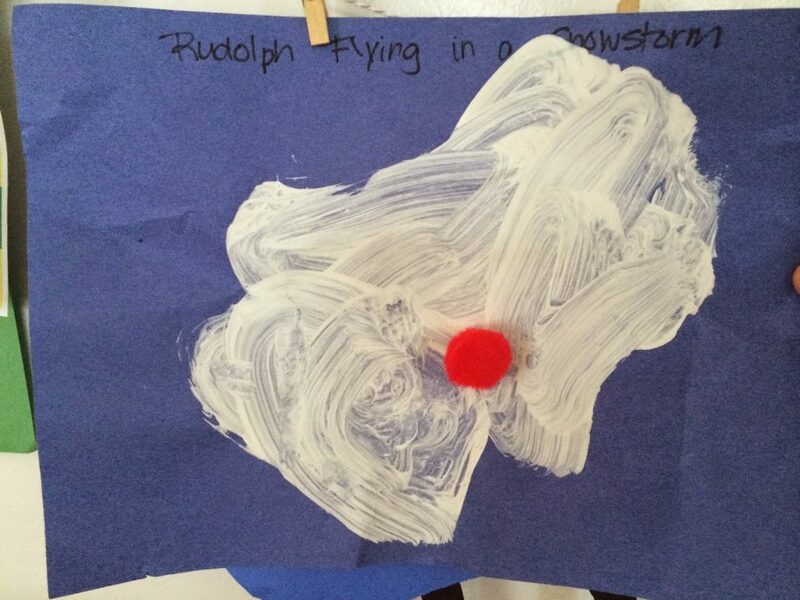 On a darker piece of construction paper, have child paint using white paint. Let dry. Glue pom-pom in the middle. 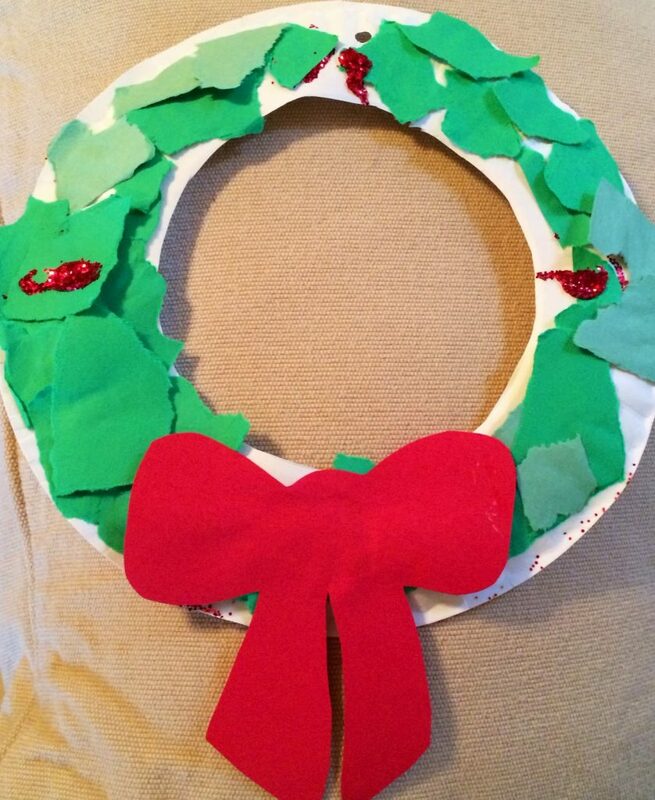 Cut a wreath shape out of card stock. Glue different kinds of pasta onto the wreath. Let dry. 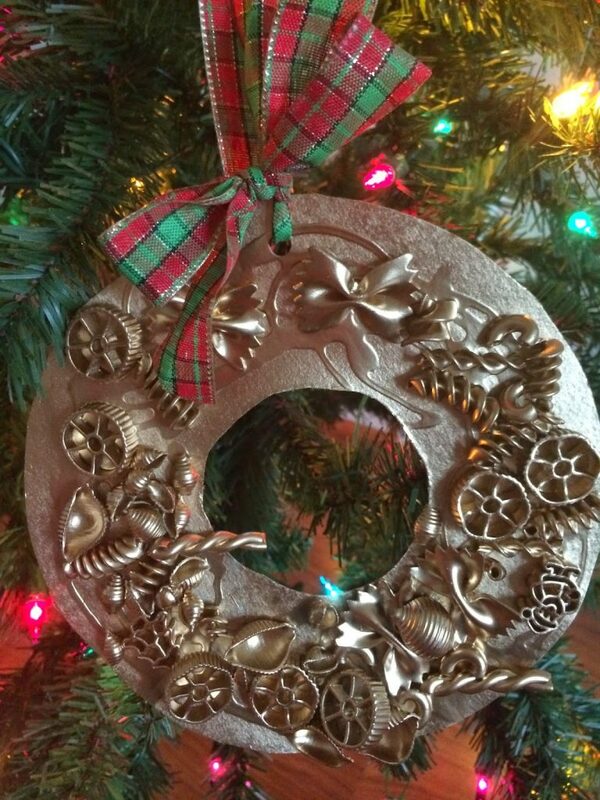 Spray the wreath with a metallic spray paint & let dry. 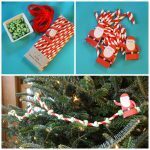 Add ribbon to hang! Paint a red heart and a yellow star. Let dry. 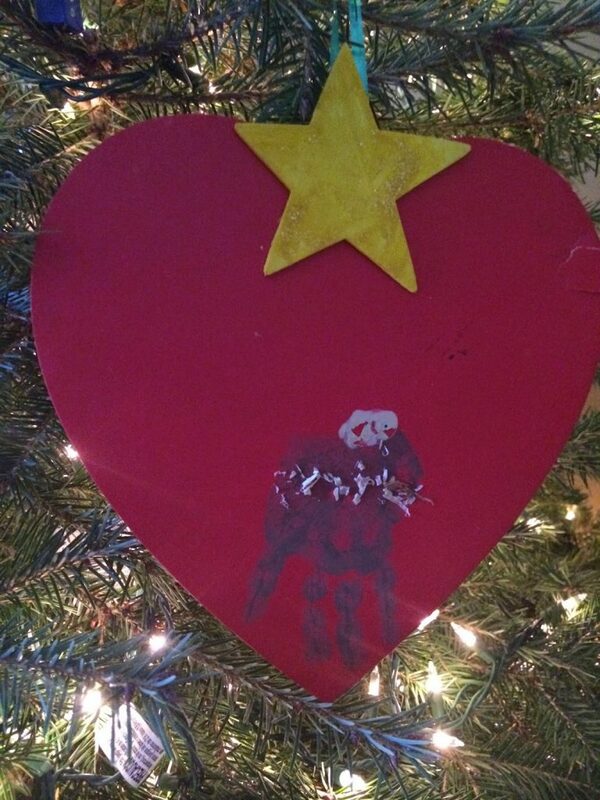 Glue the star onto the heart. Dip child’s hand in brown paint and make an upside down manager with the hand. Paint a little baby Jesus & glue on some raffia for hay. Paint a square ornament red. Let dry. Trace around child’s hand with pencil onto the square. 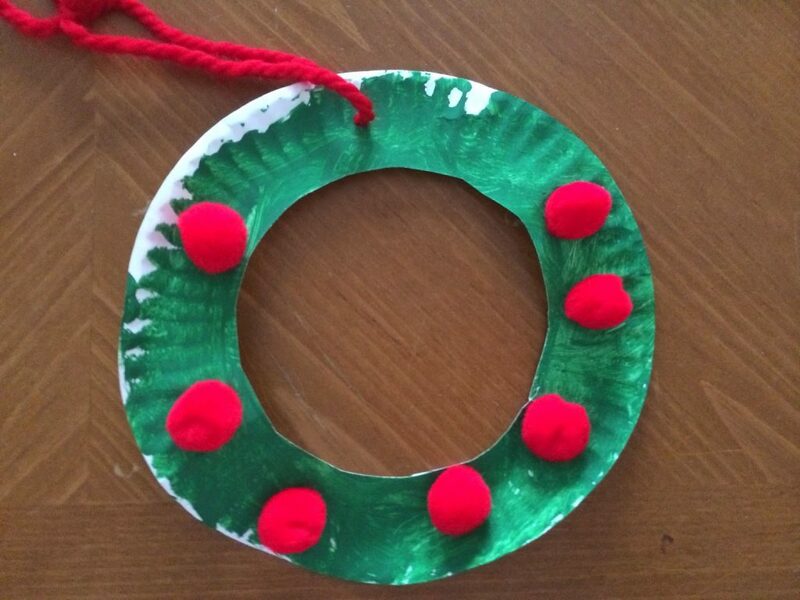 Use glue to place along edge of ornament and fill in the hand. Sprinkle glitter onto the glue & let dry! Cut a wreath out of a paper plate. Paint green. Add red pompoms for berries. Add yarn to hang. 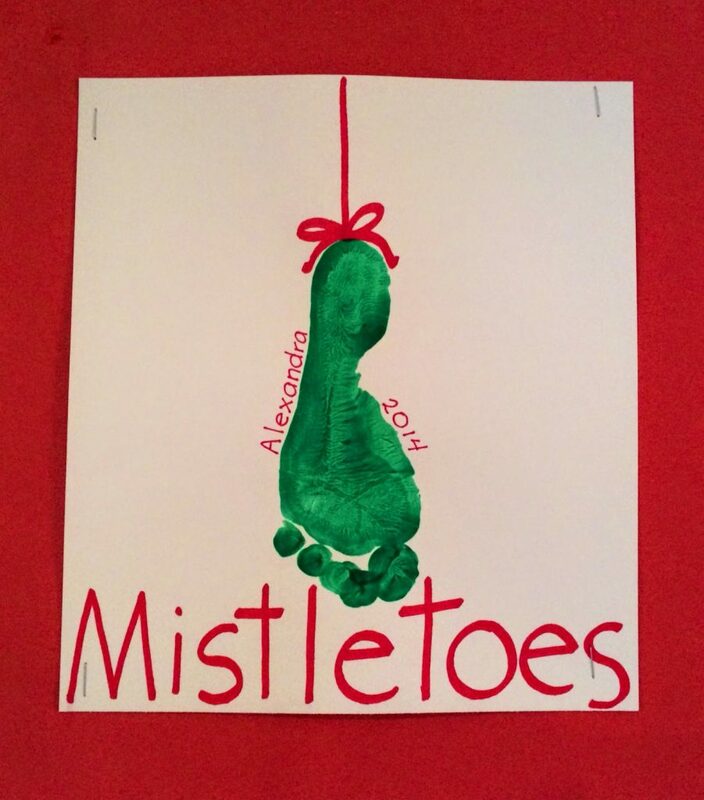 And since I haven’t had a lot of crafting time with the new baby… I’m sharing some adorable crafts the girls made in school this year. These are all easy, and fun for preschool age kids! 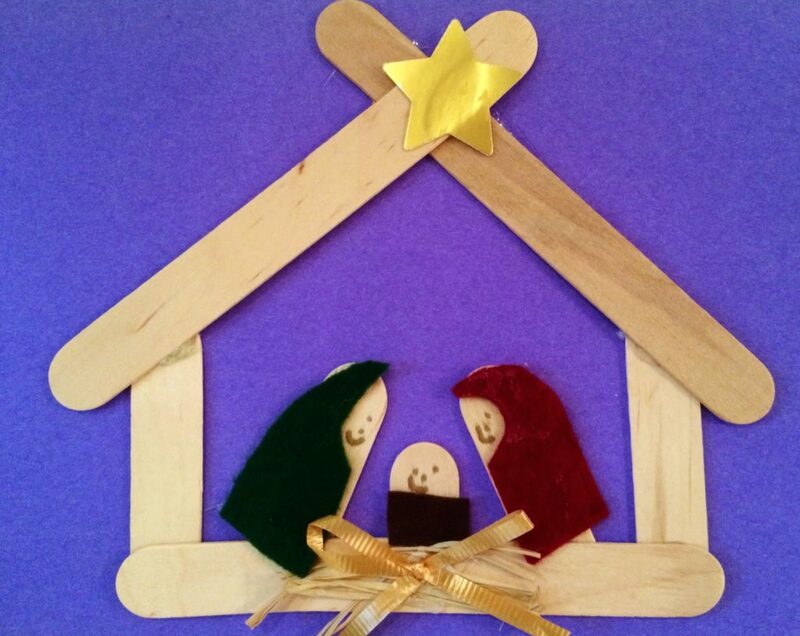 Use popsicle sticks glued on construction paper to make a Nativity. Let the children glue on felt for clothes and draw the Holy Family’s faces. Cut out the center of a paper plate. 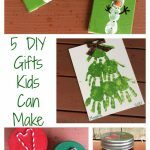 Let the children rip a piece of green construction paper into small pieces and then have them glue it to the paper plate. 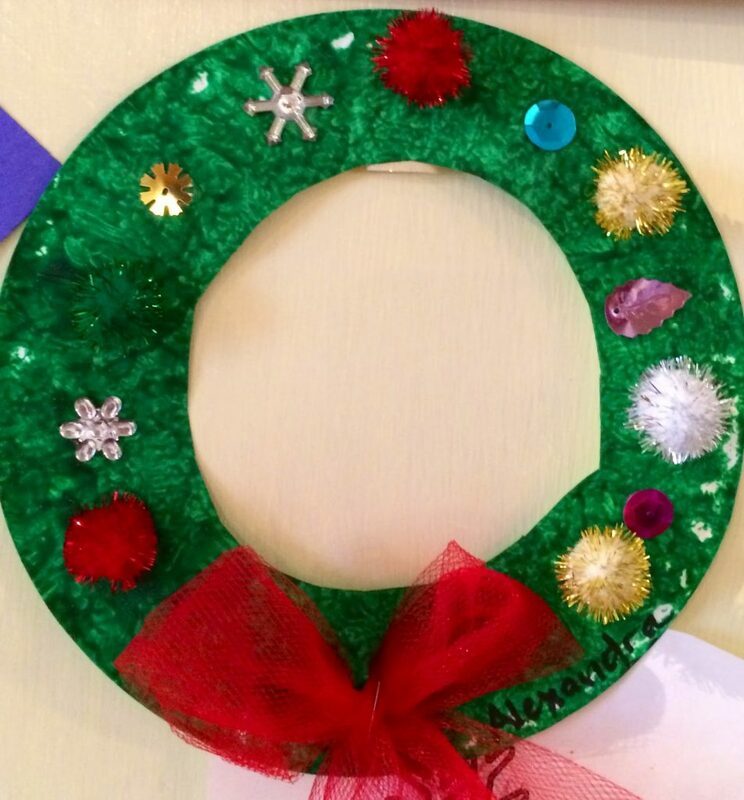 Last, decorate the wreath with glitter glue and a bow. 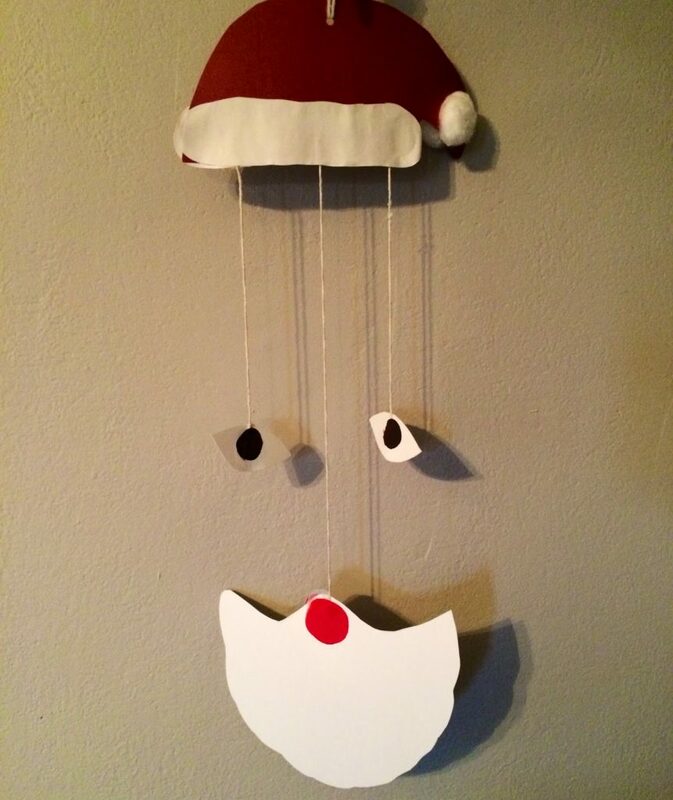 Use yarn and paper cut outs to create a Santa face mobile! 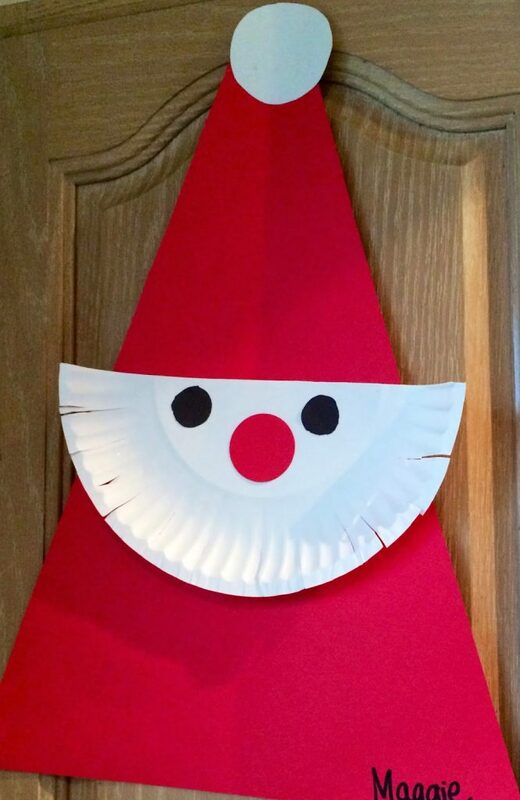 Cut out the center of a paper plate. 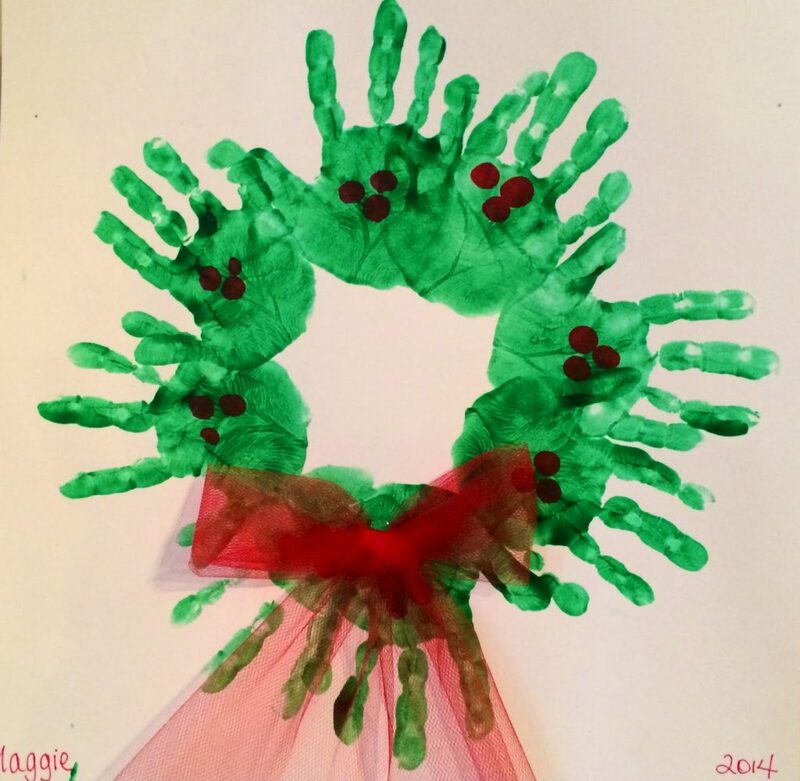 First have the child paint or color the wreath green. Then, let them glue on pom poms and sequins to decorate the wreath. Cut out a tree shape and star. 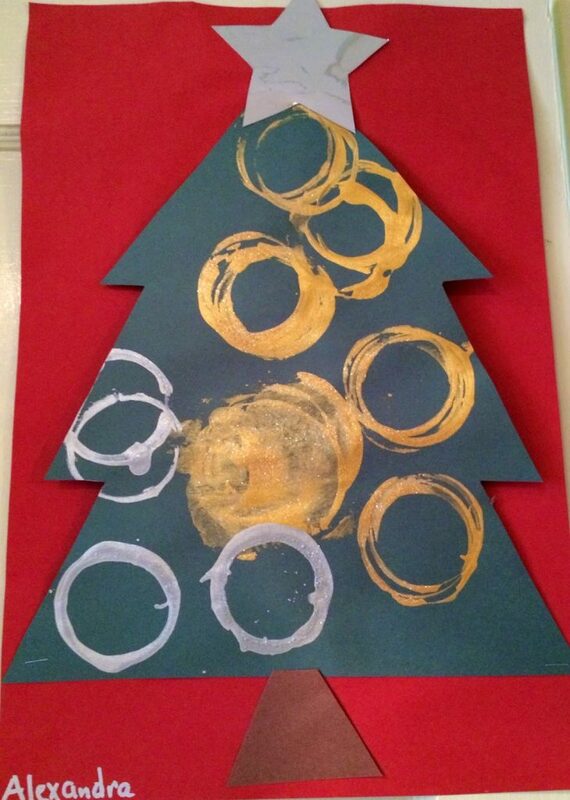 Have the children glue on the star and then decorate the tree using a circle stamp. You can use a paper cup or toilet paper roll as the stamp. 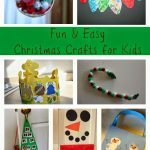 Cute & Easy Christmas Craft for Kids! These ideas are so fun, Courtney! I love the pasta wreath! 🙂 Pinned. 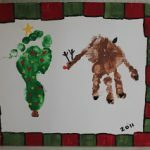 During Christmas we are looking for suitable gifts for our family members. 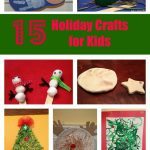 In case if we have any toddler then it is really essential to looking for suitable baby Christmas gifts and products; here we can get some unique collection that really attract our attentions Christmas craft for kids and I hope our kids are enjoy a lot with these crafts. These collections are really amazing and wonderful and give a unique experience to celebrate Christmas.